As you may already know we have been sponsoring the Herefordshire FA in order to offer football roadshows for juniors across Herefordshire. On Monday 23rd October we had the second roadshow in Ross-on-Wye! Proving to be a widely anticipated event, many children across Herefordshire were actively involved. The roadshow was aimed at children between the school years 1,2 and 3 and catered for a range of abilities. 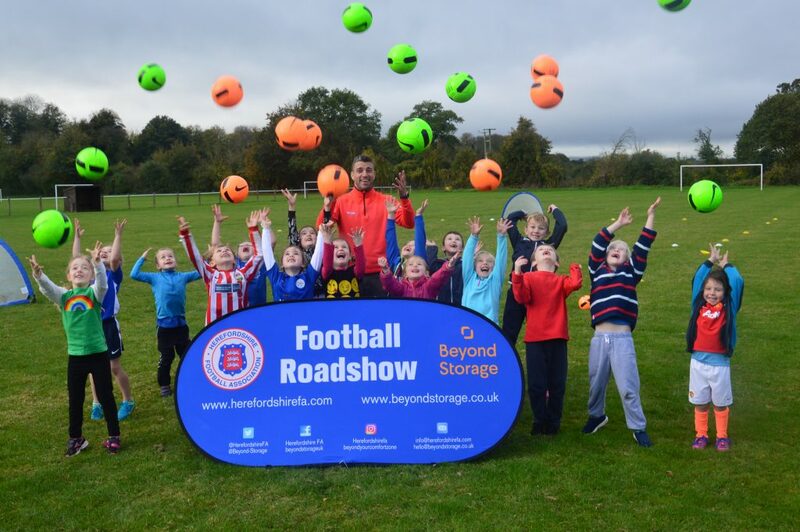 For some, the FA Roadshow was the first time they have ever tried the sport and many are now considering to continue playing regularly. There was so much positivity and active participation from everyone who attended! 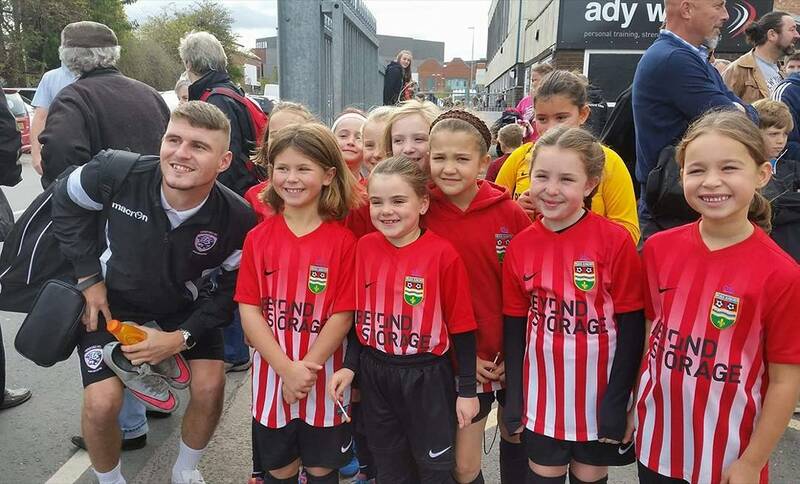 Recently the Ross Juniors under nine girls were participating in a penalty shootout at Edgar Street. The girls did incredibly and represented Ross Juniors so well! Have a look at some of their shots here.